Join our community of over 15,000 life science researchers, scientists, educators and lab vendors by subscribing to Science Market Update and get daily science market updates delivered right to your inbox. when you subscribe to the free Science Market Update blog. 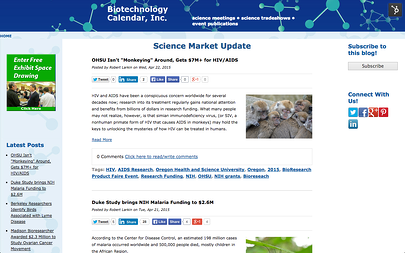 When you subscribe to Science Market Update Blog, you will automatically be notified by email when new articles are posted. This makes it easy to stay informed!